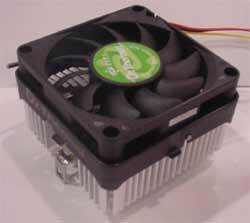 CPU coolers come in every imaginable shape, size, color, flavor and style. They can range from your everyday Cooler Master to some of the extremely exotic Zalman coolers. This means that there is likely a cooler to suit everyone and their cousin out there. Well, for those of you who have been watching coolers for a while, I'm sure you'll remember the extremely successful and popular heat sink, the Thermoengine. This aluminum cooler came out of nowhere from a company nobody was familiar with and took the cooling field by storm. The design was seriously unusual and the performance was nothing short of astonishing for when it came out. Fast forward to much more recent times, coolers continue to evolve and change. Some of these are for better, and some are huge steps backwards. 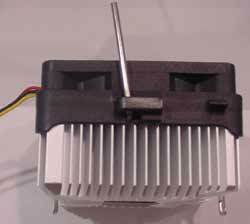 Along comes another new heat sink design that harkens back to the Thermoengine once again. This time it's from another company that came out of nowhere. 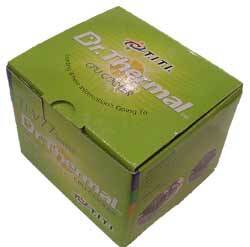 Well, this time Its Thermal Integration Technologies Incorporated, AKA TITI, who put out their first cooler, the Dr. Thermal. This vaguely Thermoengine shaped design is an aluminum copper hybrid and has an extremely unusual clipping design. These facts, combined with the general Thermoengine effect seems to make for a promising cooler. Now, lets just see how well it actually works. The cooler itself is reminiscent of the Thermoengine in the fact that there's a large, solid, metal core to the cooler, with the fins radiating out from there. This provides a great deal of metal to pull heat away from the core directly, as well as a fair bit of surface area to dissipate the heat pulled up. Another thing you'll see about it, is that it's quite large. 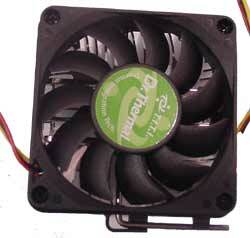 The Dr. uses a 70mm fan on top, as opposed to the standard 60mm on most other coolers. A 70mm fan can have more air with less noise than a 60mm can, it also means that the cooler itself will be noticeable larger than most, as it is built to match the 70mm fan. Overall the design is pretty cool, and does have a nice look to it. Now we're down to one of the most important parts of the heatsink...How easily can you install it? For those of you who remember the Thermoengine, this was the one place it came up short. SERIOUSLY short, mind you. It had a nasty habit of killing CPU's during install and removal. Since it's built so similarly, you'd expect the Dr. Thermal to have similar issues, right? Well, in a word, no. The Dr. 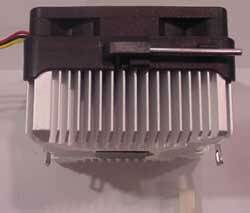 Thermal uses a clipping mechanism that is seriously unique to the heatsink world. It has a Ziff-style locking arm on the side of the heat sink that locks it in place once you have it positioned on the lugs. Yes this means that it is incredibly simple to apply to your processor. Even a n00b could apply this without much difficulty. Well, I'm kinda disappointed the Dr. Thermal didn't do better than it did during tests. The design is very nice and all in all should have done well, unfortunately, it didn't. It was about on par with the Volcano 6Cu for performance, which I would hardly say is an "Overclocker's" heatsink. 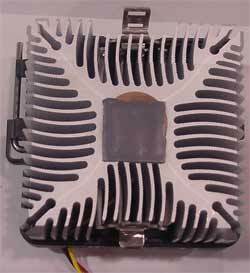 However, for those of you building systems for other people, or for you new builders out there who want a decent cooler and aren't planning to overclock a lot, this is a very well made heat sink for you to pick up.